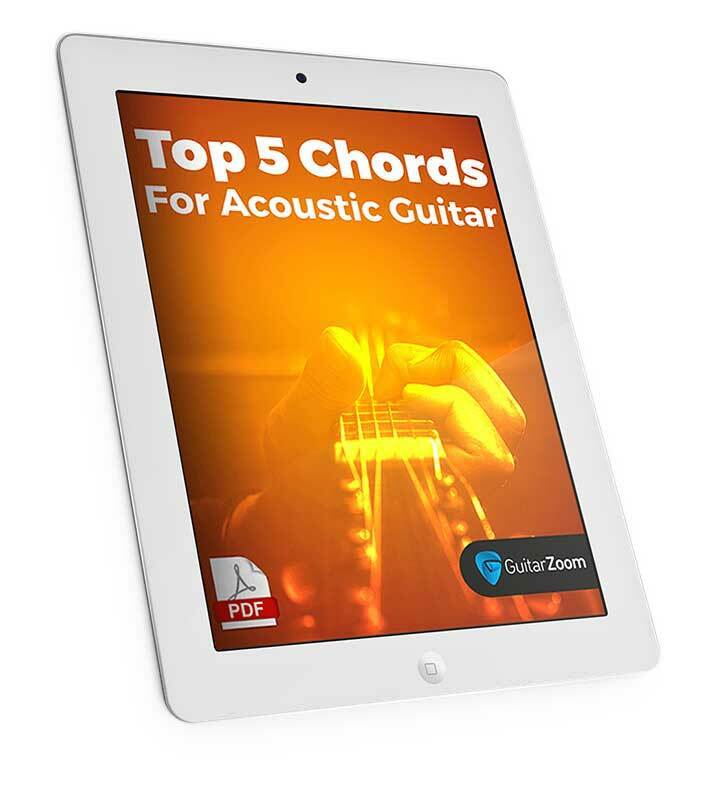 How to play thousands of your favorite songs using 5 simple chords. Which means, you’ll be able to play your favorite songs by ear and in half the time. The critical difference between major and minor chords. So you always know what chords will sound right when you play. Full-color photos of how to play each chord correctly on the fretboard. So you’ll know exactly where to place your fingers, even if you don’t know how to read a chord chart.